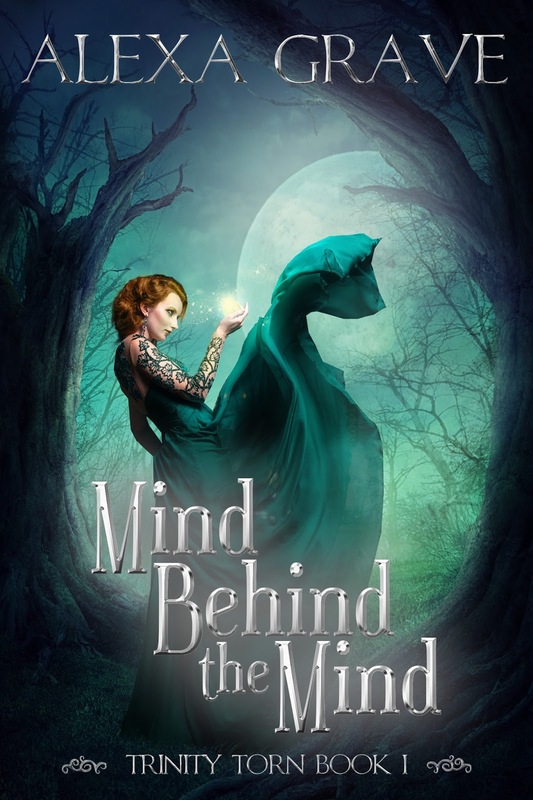 Release day for Mind Behind the Mind is tomorrow! Am I nervous? Of course I am. But I'll survive. I thought today would be a good time to post an excerpt. Promise, I won't prattle on this time. If you like the excerpt, though, please considering purchasing a copy from Amazon. It will be available in paperback in November and other ebook retailers in January! Bastian stepped from the shadows and removed his cloak, draping it over her shoulders. The moonlight touched his face, his expression stoic and firm – so unlike the playful grin earlier. Tessa inhaled his scent, sweat and spice. He must have used clove oil in his wash water. She felt his longing rise with the close proximity of their bodies, and her own hunger heightened, a warmth tickling her insides. “What brings a witch hunter to a small town in Shandipur Province?” She lifted her hand and traced her finger along his shirt. His muscles tensed under her touch. He opened his mouth and inhaled sharply. Bastian attempted to encircle her waist and pull her closer, but Tessa stepped back. She shouldn’t have done that, shouldn’t have gotten so close. So she turned to the starry sky, hoping she could regain her will. The wave rolling off Bastian jumped, still a surge of desire, but confused hiccups marred the consistency. He moved next to her, hand gripping the hilt of his sword. “What?” All his desire vanished, replaced by eagerness and alarm. And something else underneath, darker and more feral. “So gruesome. My mother told me she’d find her head one day and have her revenge.” Tessa laughed. “Fairy tales.” A tale Tessa wished would come true. If it weren’t for that first witch hunter, she wouldn’t be anguishing over the one standing next to her.